Great stay! Location was very convenient. It is a bit tricky to find at first since it’s in a hidden alley way. There was only one worker at the hostel but he was very kind and helpful. He gave good recommendations of food stalls and places to go see. Stay here for one night so I can have a walk around Jiufen early in the morning without crowd. Nice place to stay. Staff here is very helpful by showing the map they provide to make our walk in Jiufen easier. 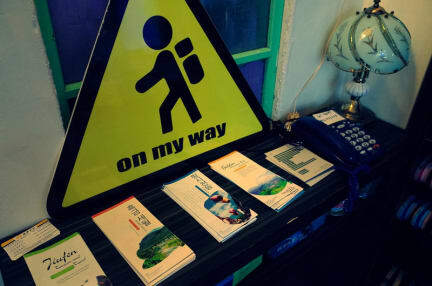 We really enjoyed our time at On My Way hostel. The location was great for sightseeing and the hostel was very clean. Staff was also very friendly and helpful. 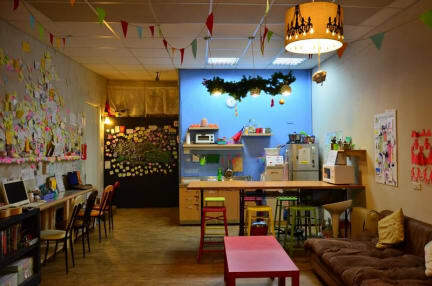 The hostel is super clean, cute and tucked away from the crowded streets but very well located! The host is also very nice and even offered me medicine when I was sick. They even offer a free night walking tour when all the streets are empty. The only problem I had was not the hostel's fault, but we shared a dorm with 2 older chinese people who were extremely loud all night, woke everyone up at 5 am and is inconsiderate of the other people still asleep in the room. SOOO awesome! And guided night hike up Keelung mountain was great. Really cute little hostel located right off of old street. The dorms are really nice and there is plenty of privacy if you need it. Very clean and friendly staff was very accommodating, he let me drop my bags until check in. Great host who takes you to the Keelung Mountain for a night hike for free. Friendly fellow travelers too. Pros - very cozy, nice kitchen, beds are very comfortable, nice common space with plenty of resources, free toast in the mornings. Very good location Cons - I find it very pricey for what you get. For $22USD you have to put your own sheets on the bed and take them off in the morning, etc. I’d probably stay here again but it was the most expensive hostel I stayed in all of Taiwan, yet not the most luxurious. Fabulously friemdly helpful staff, was taken on a night walk when we arrived to a spectacular view over juifen. Facilities clean and easy to use. Good location.